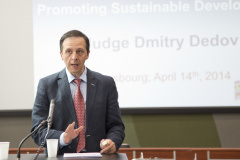 Judge Dmitry Dedov was born on 22 February 1967, in the city of Novograd-Volynskiy, Zhitomir oblast, USSR. He studied law at Moscow State University from 1984-1991 where he graduated with honors. He obtained his PhD from the Moscow State Univeristy in 1994. He wrote his thesis on “Resolution of collective labor disputes in Russia and the United States: A Comparative Analysis”. He was Expert at the Russian Constitutional Court and the Russian Government from 2000 to 2005. From 2004 to 2010 he was Docent and Professor at Moscow State University in business law. He received the title Doctor of Law in 2006 after defending his thesis “The implementation of the principle of proportionality in the legal regulation of business”. He was also Head of the Legislation Department, Russian Supreme Commercial Court, from 2005 to 2008. 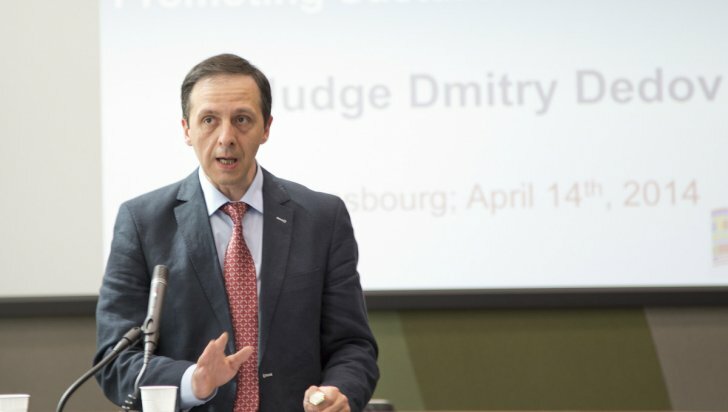 Furthermore he was Judge of Russian Supreme Commercial Court, from 2008 to 2012 and a Professor at the Center for Transnational Legal Studies in London, in 2010. 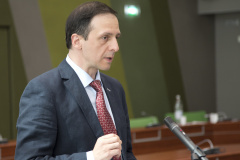 Since the 2nd of January 2013 he is Judge of the European Court of Human Rights. 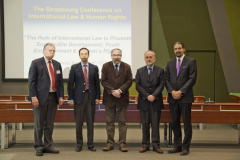 "The Role of International Law to Promote Sustainable Development, Youth Empowerment & Women's Rights"